ReMed Rehabilitation is an Edmonton based rehabilitation centre that provides comprehensive rehabilitation programs for the public, Employers, Insurers and Lawyers. 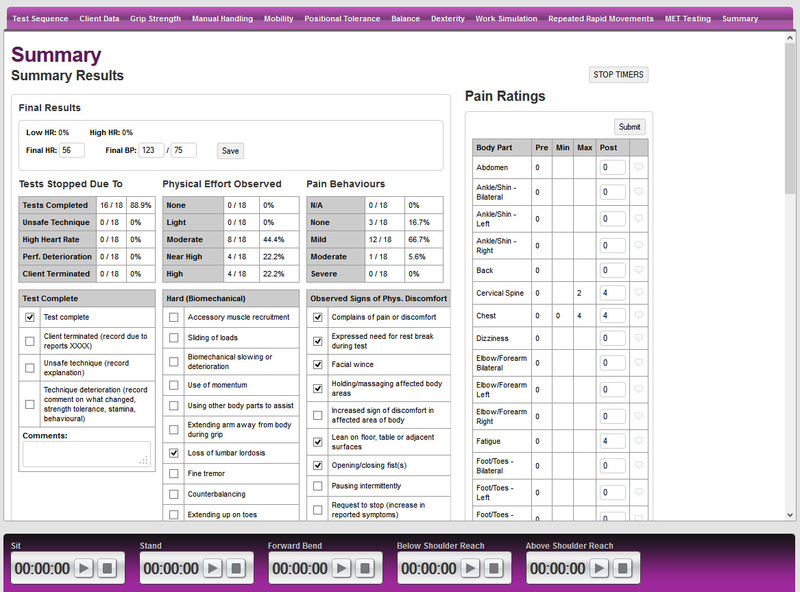 The company is staffed by experienced rehabilitation professionals who are experts in the delivery of evidence-based care that helps individuals overcome injuries. 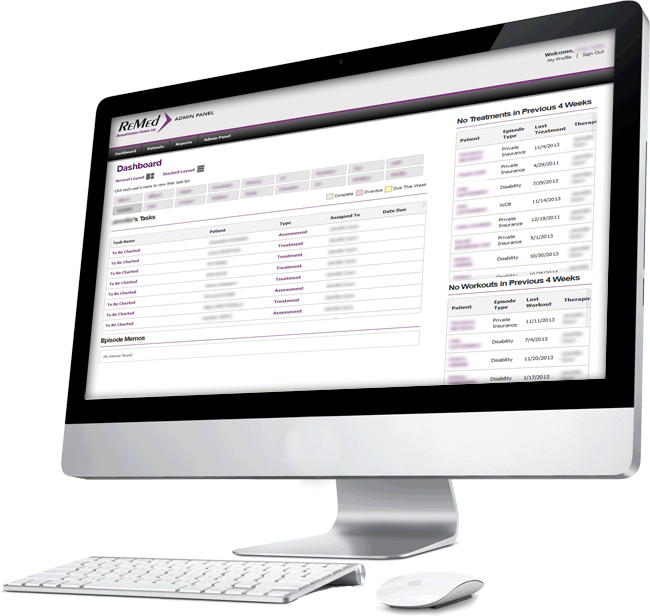 Replace the existing Electronic Medical Record System with a new custom web app that streamlines operations and centralizes data access. 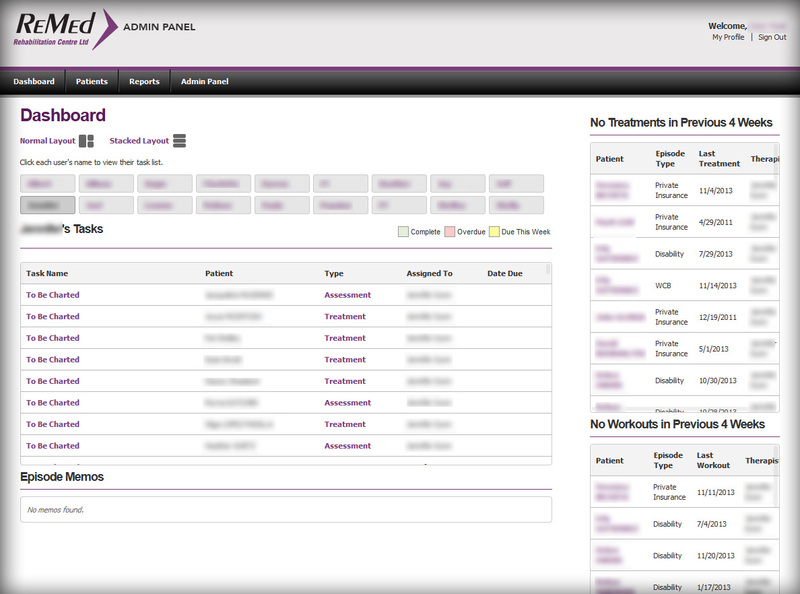 The existing infrastructure consisted of an Excel spreadsheet to perform some common calculations/functions on patient test data. Otherwise, paper and pencil was the answer. 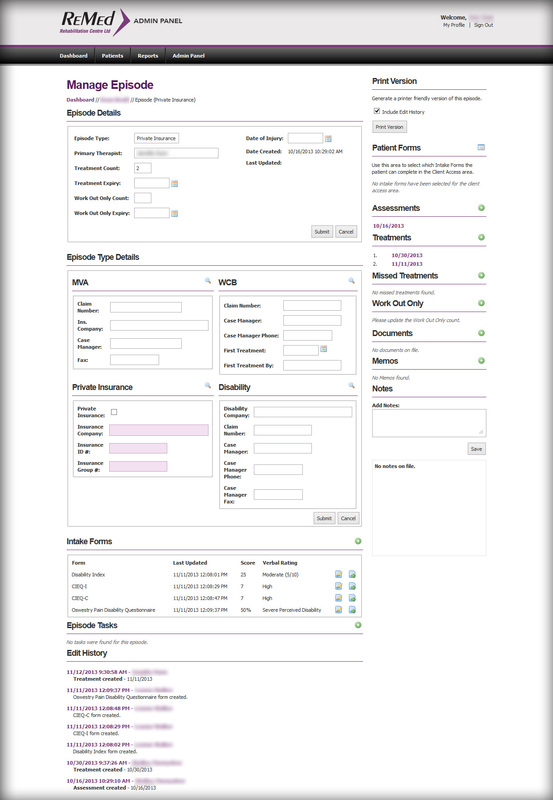 Develop a custom database system consisting of many time saving tasks, as well as a custom FCE charting module (Functional Capacity Evaluation) that enabled the company's therapists to collect and enter patient test data on the fly and perform many complex calculations automatically. A single click of the mouse is all it takes to produce an accurate, up-to-the-minute report that once took many, many hours to manually complete. We thank ReMed for giving us this opportunity to build a web app that solved their data management problems and look forward to helping ReMed achieve even more success in the years to come. We've reduced our use of common office supplies, such as ink cartridges and paper, all by up to 75%. Our ability to run reports has significantly reduced the time involved in reporting, allowing us to increase our intakes and keep our pricing lower. 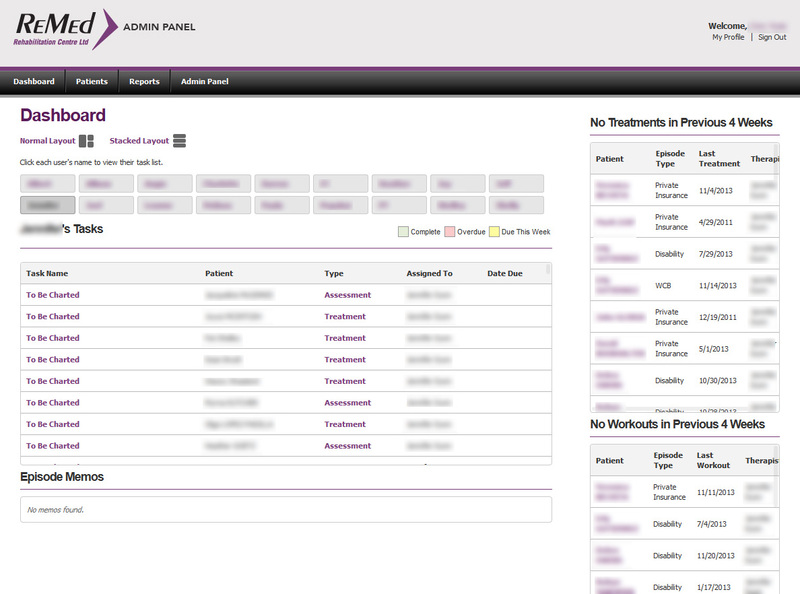 This program promotes standardization for our clinic so reports have the same flow and information content. There is more confidentiality with charts not being left out. 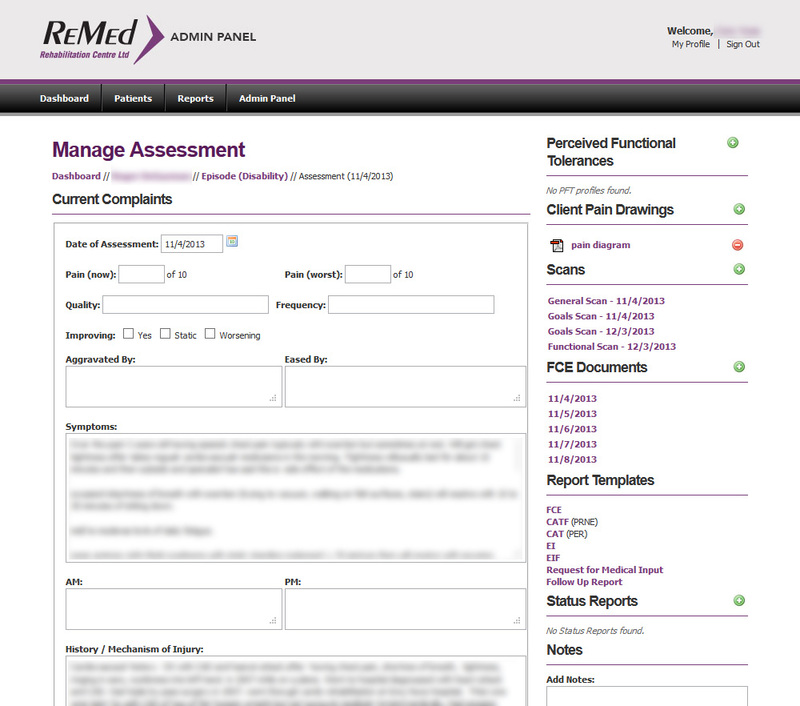 Get an inside look at the ReMed Electronic Medical Record Program.